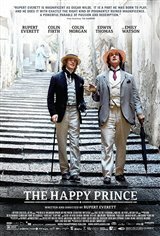 Following his release from prison after being convicted for "gross indecency" as a result of his affair with Lord Alfred Douglas, celebrated author Oscar Wilde (Rupert Everett) moves to Paris, where he grooms a street boy to be his next lover. This great man of letters, once one of the most famous authors in England, is now practically penniless, but can still count on his faithful friends, fellow author Reggie Turner (Colin Firth) and journalist Robbie Ross (Edwin Thomas), who provide him with financial and emotional support. As Oscar lies on his death bed, the past comes flooding back to him, transporting him to his earlier years.